Podcast and Blog about knitting, spinning, cooking, farm life in the midwest and family life with 2 teenagers. 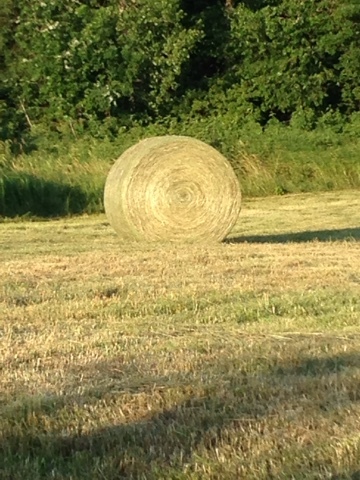 Check out what has been happening on the farm-big round bales of hay. 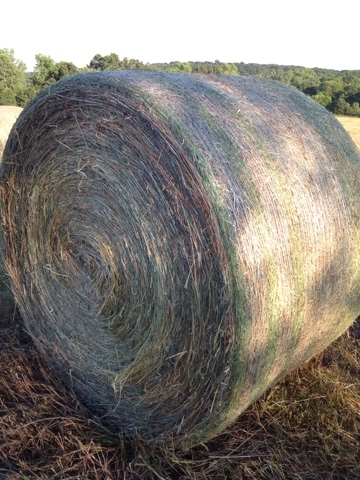 Hay can be made economically, quickly and with less manpower than the square bales of times past. On our farm these bales represent food for the animals and a little insurance in case of bad weather. 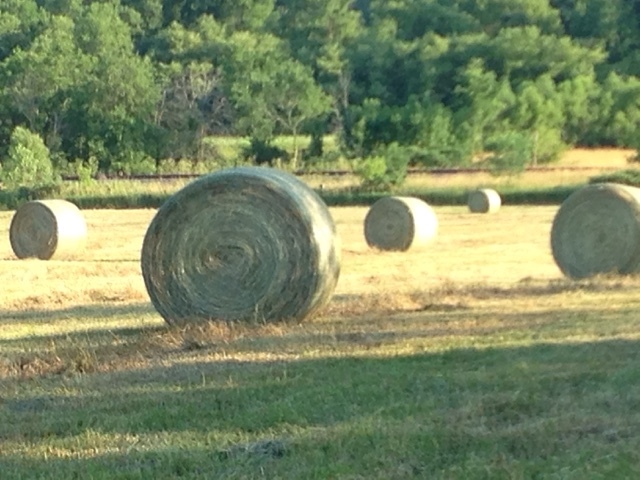 The weather in our area this year is turning toward a drought and having several big bales to feed the animals is like money in the bank- and is reassuring to me. 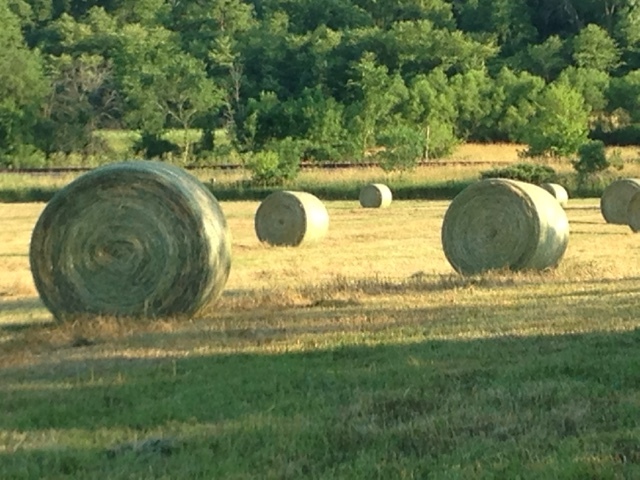 These bales are fed from big round bale feeders that are made specifically for goats. They are set in the feeder with a tractor. These feeders keep the bales off the ground and make it nearly impossible for goats to climb on. As you check out these pictures think of them as rural "glamour shots". Download the Podcast!. Simple theme. Powered by Blogger.